MANHATTAN - A sparse population and long distances to major markets are often cited as major obstacles to establishing manufacturing businesses in Montana. But Mike Groff, president of Plastic Design and Manufacturing, says his company competes well in national and international markets. "We're a custom injection molding company, and we're one of the few in the state that's world class, Groff said. "We serve the OEM (original equipment manufacturers) and serve a lot of smaller customers. We support a lot of entrepreneurial activity with business in the state and out of state." 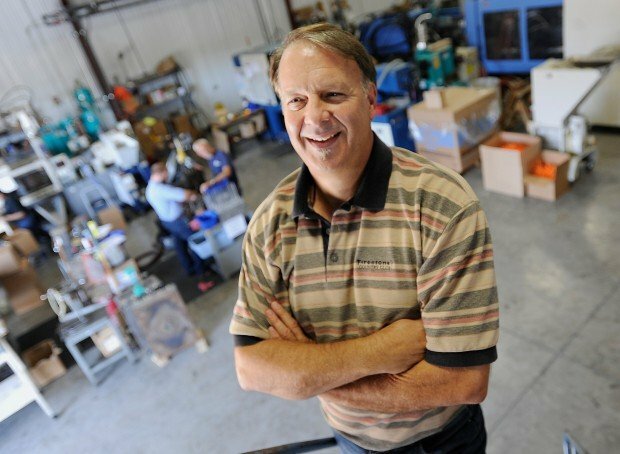 PDM's customers are as small as iBike and Blue Ribbon Nets, a Bozeman-based manufacturer of high-end fishing nets, to Hoover, the vacuum cleaner company. Groff says PDM has developed a strategic alliance with Salient Technologies, a Bozeman-based engineering and design firm. Salient and PDM have collaborated on products ranging from outdoor equipment to portable toilets. "We're happy to work with them," Groff said, referring to Salient. "They have helped our business grow." Recently, PDM's 22 workers have been busy manufacturing 80,000 plastic tool-carrying buckets that fit on top of Warner ladders. The buckets are a promotional item for ladders sold at major home centers, Groff said. "We employ three shifts that work five days a week," Groff said. Because PDM does custom work, it fills orders from dozens of smaller manufacturers. "We do anywhere from 500 to 500,000 pieces," Groff said. "When you do custom molding, you have to adapt to what the customer needs." Over the past 20 years, thousands of American manufacturing jobs have been outsourced to cheap-labor markets like Mexico, China and India. 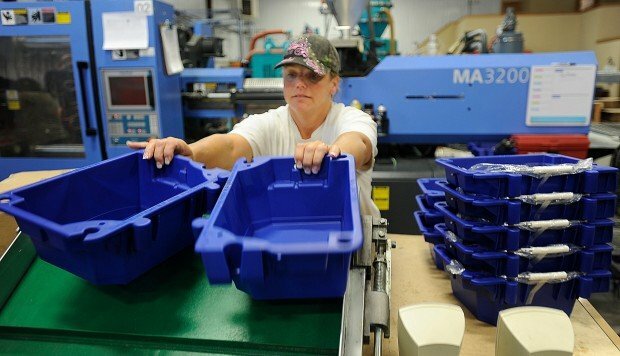 The injection molding business is different because labor makes up perhaps 10 percent of the cost of each piece. Products with higher labor content - textiles for example - are more likely to move to regions with lower labor costs, Groff said. While PDM's products proudly carry the "Made in Montana" label, some of the manufacturing equipment comes from overseas. Groff travels to China several times per year, where much of the molding equipment is made. "Buying machines in China helps keep our costs down," Groff said.